"Stop right there! This squirrel in Florida is giving you the right to remain silent." BRANDON, Fla.—A photo taken by a Brandon woman in her backyard is making people smile across the country. Mary McGowan’s photo of a silly squirrel was picked for one of The Comedy Wildlife Photography Awards, a competition currently in its fourth year of delivering funny photos of animals being silly, according to NatGeo. The photo was featured in a National Geographic article where they picked their favorite photos from the contest. The caption on the photo reads: "Stop right there! 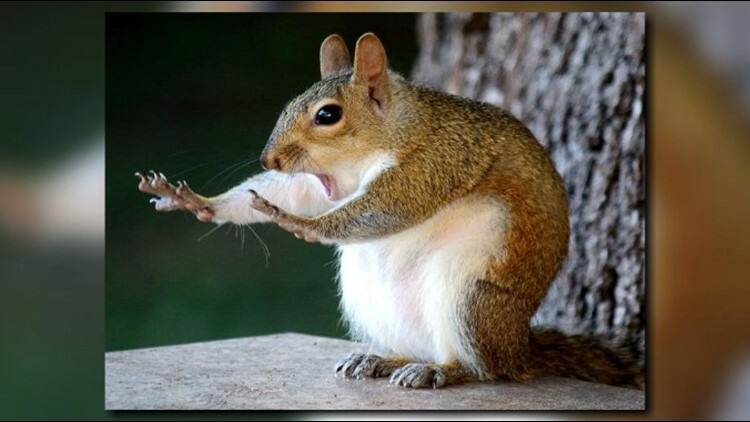 This squirrel in Florida is giving you the right to remain silent." NatGeo said this year’s The Comedy Wildlife Photography Awards were flooded with entries and Mary was one of the 41 hilarious finalists. Mary said she dubbed the furry little guy Stanley. Way to go Mary, this photo is nuts! Check out the rest of the finalists on National Geographic's website.